WITH YOUR GOOD CREDIT 1000.00 DOWN 93.00 PER MONTH O.A.C.!!! 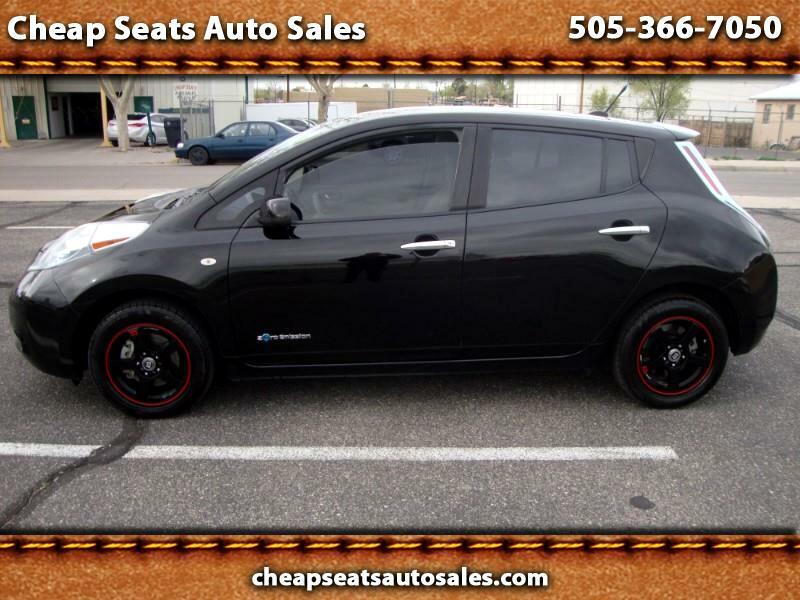 NEW MEXICO RESIDENTS ONLY, GO TO WWW.CHEAPSEATSAUTOSALES.COM FOR QUICK CREDIT UNION APPROVAL, THIS NISSAN LEAF ONLY HAS 51000 MILES, RECENT SERVICE, JET BLACK EXTERIOR WITH TAN CLOTH INTERIOR, NAVIGATION, ALL POWER EQUIPMENT, GREAT ECONOMICAL CAR, WON'T LAST AT THIS PRICE!!! BUY WITH CONFIDENCE, LIC AND BONDED DEALER, CALL SCOTT AT 505-366-7050 WITH ANY QUESTIONS, PRICE OR PMTS. PLUS TAX, TITLE, AND 249.50 DEALER PROCESSING, PMTS. BASED ON 72 MONTHS AT 3.89% APR. O.A.C. Visit Cheap Seats Auto Sales online at cheapseatsautosales.com to see more pictures of this vehicle or call us at 505-366-7050 today to schedule your test drive.